Disclosure: This post is part of a yearly series in partnership with Netflix. As a member of the Netflix #StreamTeam, I’ll be sharing ideas throughout the year on some of the best Netflix titles to stream with your family. The content, as always, is whatever streams through my own mind! Hope you enjoy! Mashed potatoes and gravy. Turkey and stuffing. Pumpkin pie and whipped cream. Tryptophan and comfy couches. The Lions and the Cowboys. What do these Thanksgiving delights all have in common? They’re dynamic duos and I’m thankful for all of them. Of course, I’m thankful for a lot more than food and football. I do my best to give thanks for the blessings in my life every day, not just on Thanksgiving Day. Still, Thanksgiving is a time to reflect on the goodness that surrounds us. A few years ago I started a Thanksgiving tradition for our little family. I brought in a small branch, tucked it in a vase, and the Thanksgiving Tree was born. 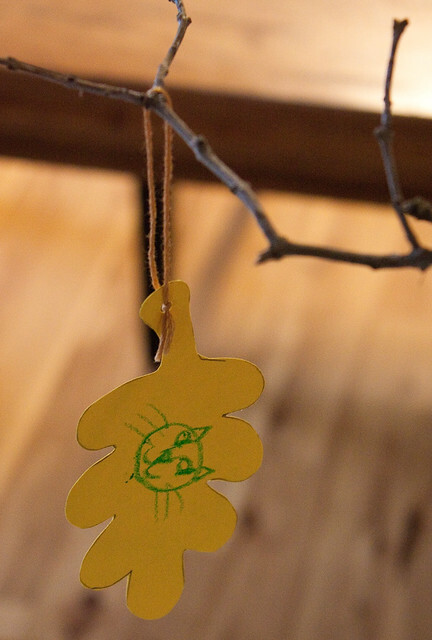 I trace and cut out a few different types of leaves from card stock, punch a hole in them, and tie on a small string. The tree sits on our dining room table, with a basket of the leaves and a few crayons and pens nearby. 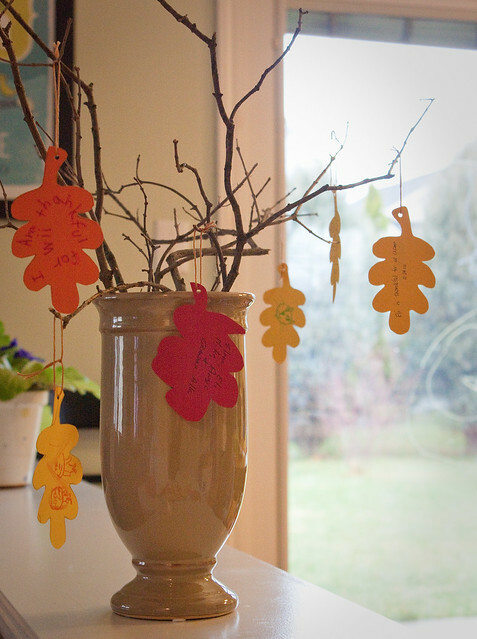 As Thanksgiving nears, we write what we’re thankful for on a leaf and hang it on the tree. As family and friends drop in for visits, we encourage them to do the same. I never planned for it to be more than a one-time decoration, but as I dismantled the little tree to make room for Christmas, I realized what a treasure I had on my hands. And so I saved the leaves, and brought them out again the following year. Each year they go back on the tree, and we watch as the leaves, like our blessings, multiply over the years. It’s so fun to stroll down memory lane and see what we were grateful for in years past. I was never so thankful for this tradition as I was last year, when we looked over the leaves and found the one my father-in-law made. We may never be able to spend Thanksgiving with him again, but we continue to be blessed by the wonderful memories we have of him … and by his very special leaf. All of these titles are available to stream on Netflix. Have I ever told you about my absolute favorite, never-fails-me way to figure out if a movie or show is okay for the kids to watch? Common Sense Media is an invaluable resource for all things media. Its easy-to-use ratings guide will let you know what to expect, and help you decide what’s appropriate for your family. I absolutely love it. You know what else goes great together? Readers and comments! What are some of your favorite movies or shows that show what friendship is all about?